The word "auto" is short for "automobiel", which translates to "automobile" or "motorcar". Phonetically, "auto" ends in a long "o" and in order to keep this sound the plural form is formed by adding ‘s (apostrophe s) instead of just a single s (which would turn the long "o" into a short "o"). – "Het aantal auto’s in Nederland groeit." – "Nederlanders rijden meestal in handgeschakelde auto’s." – "Frank zit in een midlife crisis en wil daarom een snellere en grotere auto." – "Automutilatie duidt vaak op ernstige psychische problemen." – "Frank is autodidact op de gitaar." – "Wagen": wagon (often used as slang for "car"). – "Automaat": either an automatic car, or a vending/slot machine. 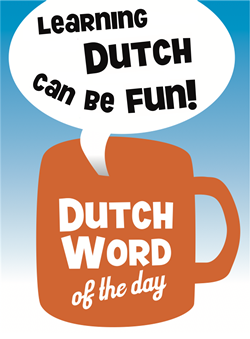 This entry was posted in Dutch word of the day, DWOTD 1.0, Vocabulary Basic and tagged auto, voertuig, wagen by Dutch Gurus. Bookmark the permalink. I’m never very sure about how to pronounce “auto”. Is it with an “ow” sound (as in the English “how”) or with an “oo” sound (as in the English boat)? I assumed it was the “ow” version until a posh Dutch lady sitting next to me on an aeroplane told me it should be the “oo” sound. To my knowledge, it should be pronounced with an “oo” sound (as in the English boat). However…in practice you will hear it pronounced both ways: either with an “ow” sound (as in the English “how”) or with an “oo” sound (as in the English boat).